Range of Materials: 10 different materials at launch, supporting a wide range of applications. Ease of Maintenance: Optical components of the printer can be replaced in-field. Audible Alerts: Be notified of errors and changes of print status by sound as well as on the dashboard. 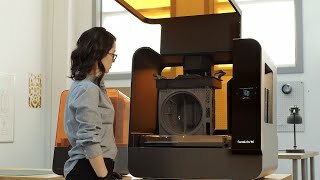 For the manufacturer of the #1 Most Used Desktop Printer 2018, there's a new printer around – the Formlabs Form 3. The printer for sale here is the basic package, containing only the 3D printer, build platform, resin tank and finishing kit. For more information and to see the full range of services available with the Form 3, please see our Form 3 Complete Package page. For those of you already familiar with the Form 2, you’ll be pleased to know that your cartridges, build plates, finishing kits, Form Wash and Form Cure are all compatible with the Form 3. The only things that are not cross compatible are the tanks due to the different peel mechanisms. Here are some of the common questions we get for Form 3 Basic Package, if you have any more questions, please don't hesitate to email web@goprint3d.co.uk or phone 01765 540 115. Can I use Form 2 consumables with the Form 3? Cartridges, build platforms, finishing kits, Form Wash and Form Cure are compatible between the Form 2 and Form 3. Tanks are not compatible between the Form 2 and Form 3. 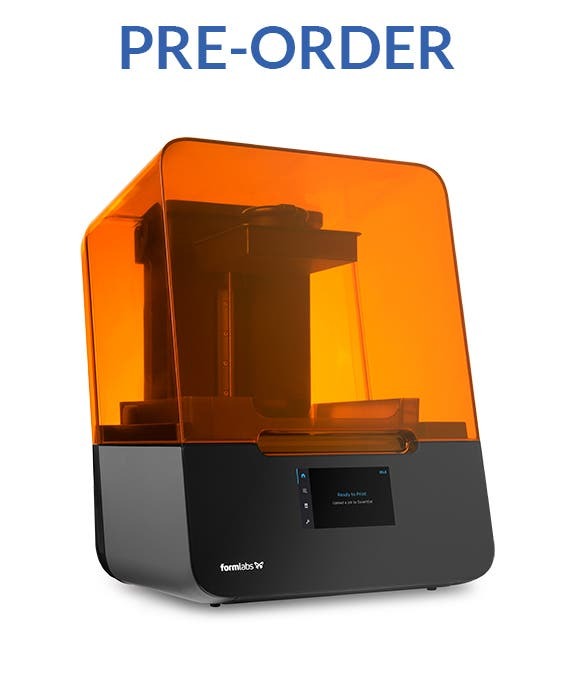 Can I use the Form 3 for biocompatible printing? Biocompatibility is certified for an entire workflow. This is in process for the Form 3 but has not yet been finalised, so at the moment the Form 3 is not recommended if biocompatibility is required. How is the Form 3 different to the Form 2? They use different technologies. The Form 2 is a stereolithography (SLA) printer, the Form 3 is a Low Force Stereolithography (LFS) printer. For a deeper comparison please see our downloads section.